The Şahin Kaygun exhibition, currently at Istanbul Modern, is an absolute treat for photography lovers. Little is written about the late Adana-born multidisciplinary artist, who, always seeking new forms of expression, played a pioneering role in photography in the 1980s and 1990s, generally paving the way for experimental photography in Turkey. The usually light and bright Photography Gallery has been enigmatically lit for the most comprehensive show of Kaygun's work since he passed away in 1992. 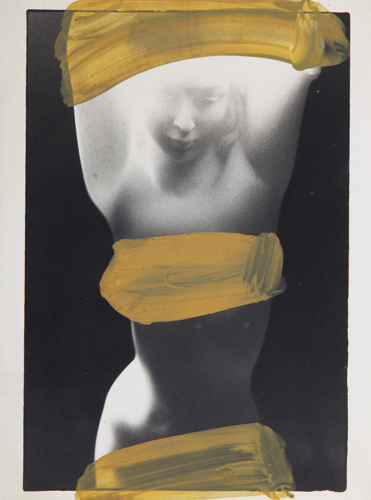 Curated by Sena Çakırkaya, it is supported by archival work and spans his entire career, from his early experimental photography in the 1980s – when he produced Turkey’s first Polaroid series – through to his final years when he reached a pinnacle in blurring the boundaries between photography and painting. 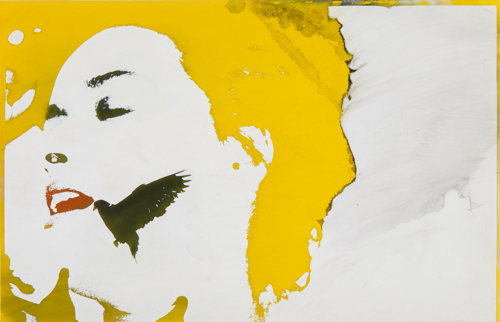 In the 1980s, when the term ‘interdisciplinary’ didn’t exist in Turkey’s photographic culture, Kaygun combined photography with painting, graphics and cinema, exploring new and unique applications of photographic techniques. Kaygun’s ultimate goal, which this exhibition highlights most successfully, was to find a contemporary interpretation of the link between photography and other art forms. Admiring these pieces, one can be forgiven for not realising that he worked 30 years ago – his work looks thoroughly modern. He started earning a living by painting while still in high school, before entering the graphic arts department of the State University of Applied Fine Arts in Istanbul in 1969. Having developed an interest in photography there, he began to see graphics and photography as two fields that were not necessarily distinct but which could nourish and complement one another. 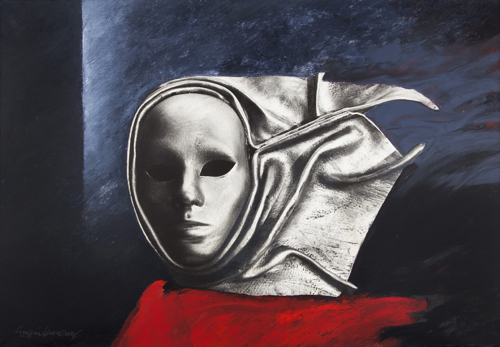 In the 1970s Kaygun went through what became known as his ‘black-and-white’ period. 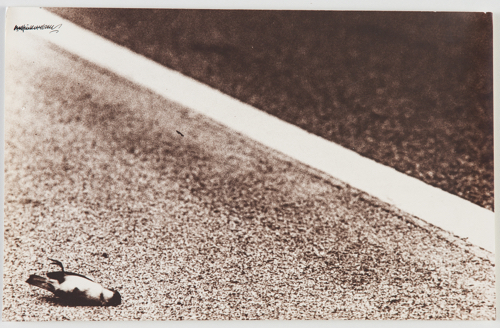 Graphic elements can be seen in this work, comprised almost exclusively of documentary photographs and portraiture. It was during the years he spent in Germany in the early 1980s that Kaygun began experimenting with photographic language. 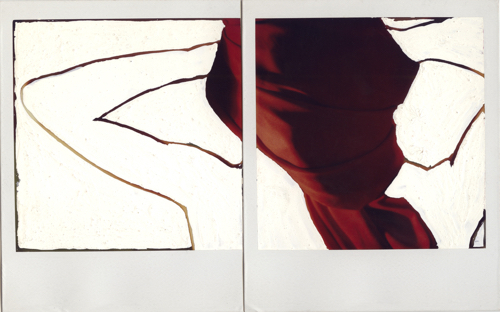 The Polaroid series represented his first attempt at manipulating photographs. He opened the first Polaroid exhibition in Turkey in 1984 and brought to the forefront a style that was went unheeded by the majority of art enthusiasts. 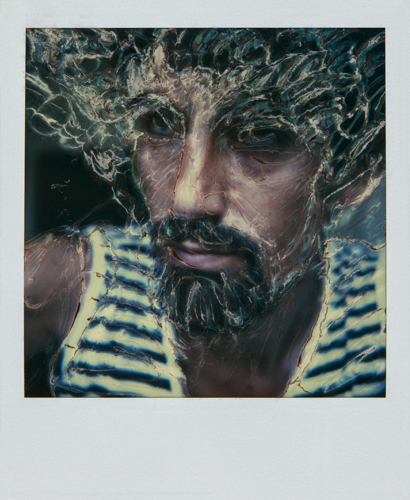 He manipulated the Polaroids right in front of his audience – the faded colours were replaced with painterly elements which he incorporated into the images by scraping off the surface emulsion and adding colour. After this show, Kaygun became the first photographer to be presented with the Ankara Art Foundation Award, for which he found himself up against such important artists as Erol Akyavaş and Eren Eyüboğlu. 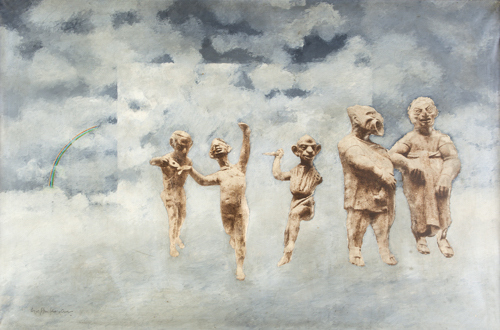 Works from this series have been exhibited in major museums and art institutions around the world, and are on loan from the WestLicht Museum of Photography in Vienna, which purchased the collection in 2011. 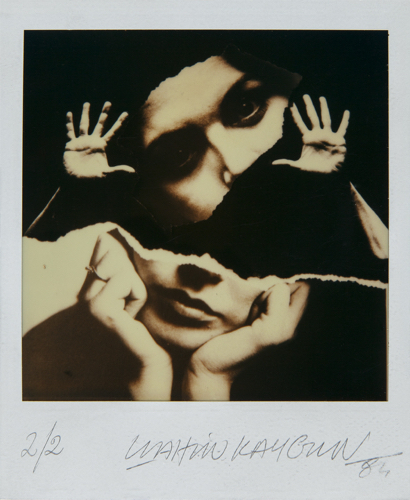 Kaygun continued working with Polaroids, incorporating other artistic elements to produce works either with a fictional narrative or more experimental. Always with an expressionist approach, Kaygun produced collages, fantastical installations and symbolic narratives, tackling existential subjects – humanity, life, death – ever more potently. 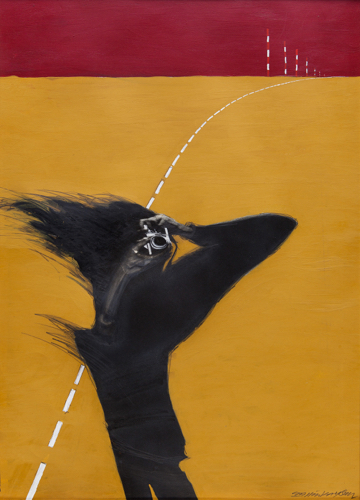 The political atmosphere of the 1980s (when Turkey withdrew from the international stage) led to a period of personal crisis and introversion that can clearly be seen in his art from this decade. In recurring themes – such as the female body, dolls, seashells and dead birds – fantasy and reality are intertwined. The further his subjects were removed from reality, the more he allowed himself to experiment technically. Kaygun once said, ‘I don’t take photographs, I make photographs’, and indeed a composition would always be created in his mind before he captured the image. There was no room for spontaneity. Kaygun was also an accomplished filmmaker and considered cinema to be the meeting point of all art disciplines. Before dabbling in directing, Kaygun wrote screenplays. But it was as an art director that he truly excelled. He was responsible for the visual aesthetics of such films as Dul Bir Kadın (A Widow), Adı Vasfiye (Her Name is Vasfiye), Ah Belinda and Anayurt Oteli (Motherland Hotel). The film credits of A Widow (1985) show Kaygun’s photographs, supposedly taken by the protagonist in the story. 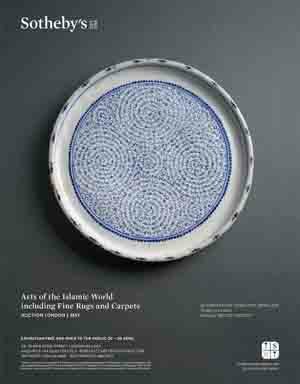 Kaygun’s final series, In the Ancient Seas, which he produced one year before his death, was inspired by sculptures at the British Museum. 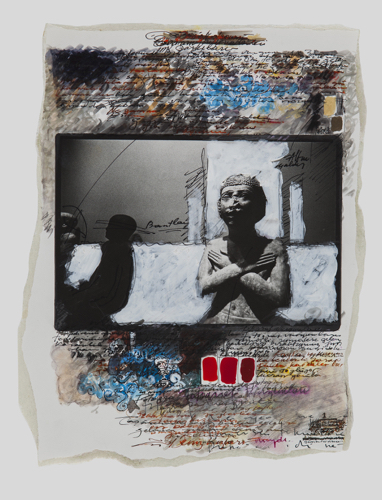 Kaygun imagines the ancient figures as characters in his self-fabricated tales, leaving the ‘cold halls’ of the museum to be transformed into immortal characters on canvas. 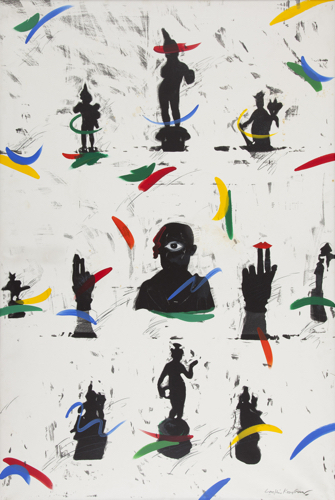 During Kaygun's lifetime, there was much debate over whether his work is more congruous with photography or painting. But that is not what is important. On the contrary, his aim was always to establish an interdisciplinary art language. And he succeeded. 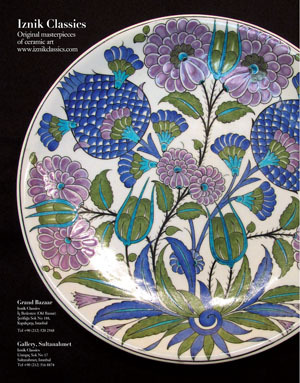 The exhibition continues until February 15, 2015.